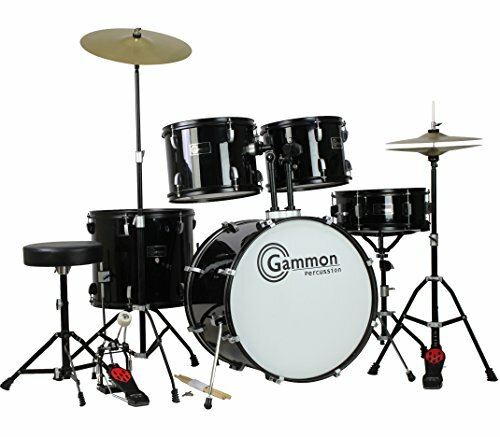 The Gammon Percussion Full Size Complete 5 Piece Drum Set is an adult entry level set that is composed of five pieces. The set is composed of three toms, a bass drum, crash cymbals and a high-hat cymbal. The set is complete with stool and sticks. All of the products are made of quality materials and give precise rhythm to every beat that is produced. 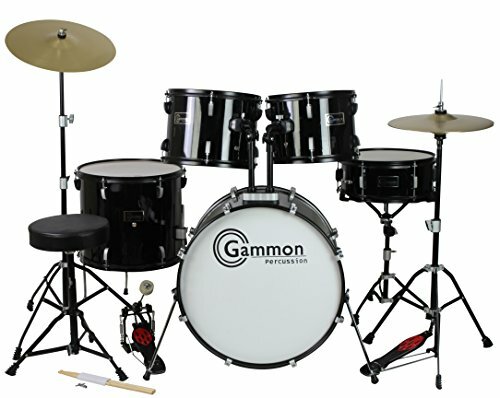 The Gammon Percussion Drum Set is made of wood and reinforced by metal stands that will resist misuse and impact brought about by beginners. 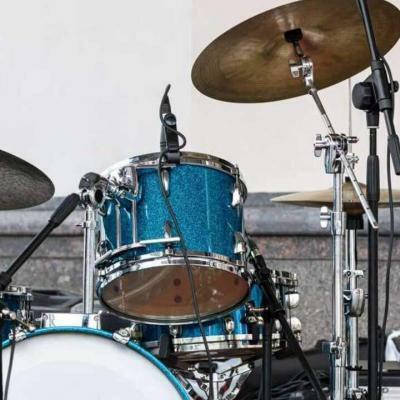 The drum set is coated with a high coat finish and pedals are connected with chains that tightly connect cymbals and the bass drum. A beginner will not have to buy additional accessories because the set is already complete. The drum set will produce flawless sound. The diameter of the drums is wide enough to create sharp and deep throated beats with a well-constructed skin. This set is similar to a professional set and will enable the drummer to practice various drumming styles with ease. The structure of the drums is stable and is resistant to high impact hitting. Pipes and chains are well-made and will hold the set intact as it is being played. This is a good starter’s set that is ready to be used as soon as it arrives. The wood composition is solid and the skins on the drums are tight. The cymbals are made with quality metal and will not tarnish or rust. The set is complete with bass, snares, toms, and two kinds of cymbals to complete a basic repertoire of sounds. 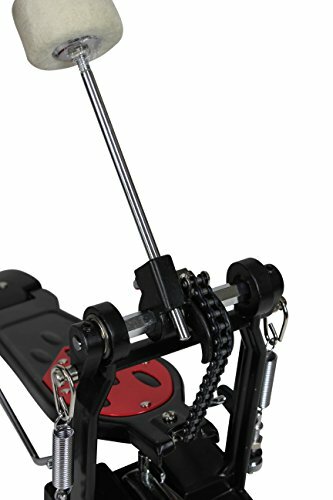 The pedals of the bass drum and cymbals are connected with tight and strong chains. This is a product that is great for learning the basics of drumming. The rhythm and beats produced sound good and the beats are whole. Flat sounding beats can be adjusted with the drum key. The seat gives appropriate space between the drummer and the set, which can be easily moved from one drum section to the other. Standing up and sitting down by heavy drummers will not be an issue because the throne can withstand extreme weight. 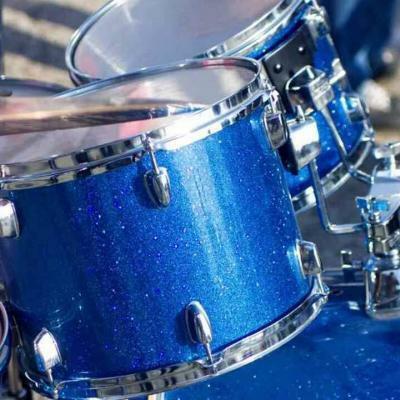 The drums are reasonably priced and are not too expensive for a basic drum set. The price is just right and affordable for any drummer who wants to learn how to play the drums. There is not much risk in the set and there is much room to enhance skills. The set is easy to assemble because the kit comes complete with accessories and easy to follow instructions. Even a non-technician will be able to assemble the drums without issues. The set will arrive intact and damage-free. This is an adult set but younger players will still be able to learn and enjoy playing. The skin on the snare and the quality of the cymbals are good enough and parts can be replaced once the user advances to higher learning levels. The quality of the sound is basic and will be good to start with. Once the user needs sharper sounding beats, parts can be replaced easily with more professional pieces. This is a product that can be used for gigs or performances. A beginner or a professional player can use the set and try it out with a live band. The sharpness of the sound will give more body to the music and please listening audiences during live performances. The drum seat is highly uncomfortable and very small. The seat does not create any support for the drummer. The user becomes uncomfortable after a long while of playing. Assembly will take two to three hours. There were some problems with shipping in that the drum key was not always included. Customer service is unhelpful. Tuning is difficult because there are five lugs that are hard to adjust. The bass drum tends to vibrate and the cymbals’ sound is cheap and gives too high tonality. 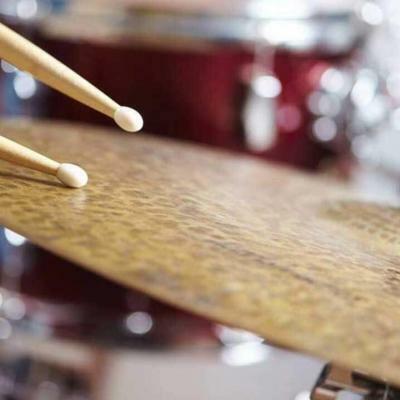 The cymbals have a tendency to wobble when struck and are unstable. The hi-hat stand is also wobbly and the cymbals lose bounce after a few months. 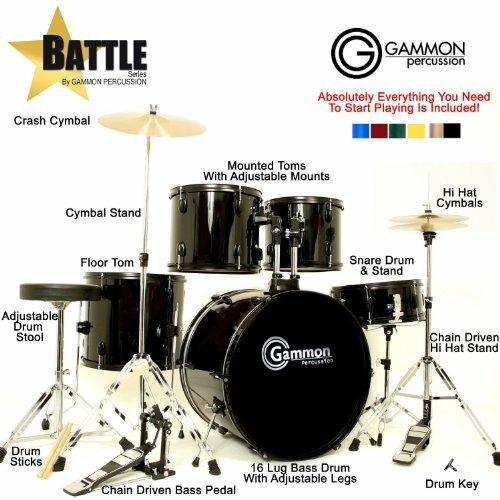 The Gammon Percussion Drum Set is a good-performing starter’s set that comes complete with all the cymbals, snare, toms and bass drum. The set also comes with sticks, seat and drum key. 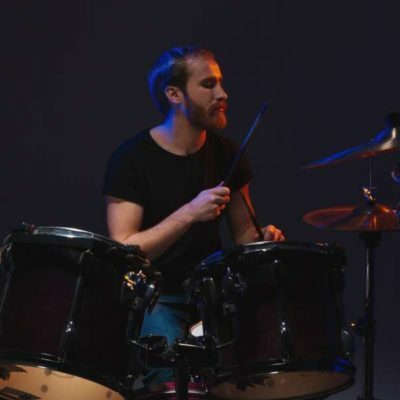 A beginning user will be able to learn basic drumming techniques. The structure of the Gammon drums are not the same quality as professional drums but the basic function will be provided. However, the product has flaws like unstable stands for snare and cymbals and a bass drum that tends to vibrate. 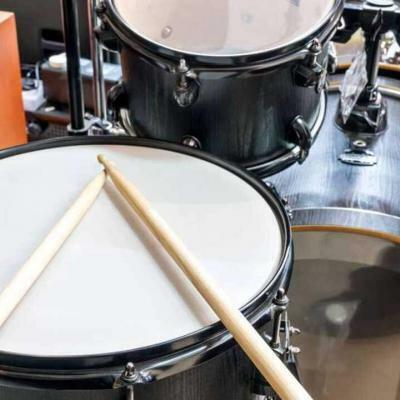 All in all, the product is good for beginners and professionals should look for more high-end drum sets.